The deep cultural ties, partnership and the long relationship between India and the UK over the past 70 years was marked on last Wednesday at the Independence Gala in London's Royal Festival Hall, with a richly diverse showcase of the very finest dance and music from both nations. A succession of spectacular performances and multi-art form collaborations, highlighted the unique aspects of each distinct genre while using the universality of dance and music to create a seamless whole. The evening began with a contiguous showcase over a score of music and dance performances including Indian regional and classical dances, tap dance, hip hop, opera and choir and was preceded by a thundering headline performance by Radiohead guitarist Jonny Greenwood and Israeli composer and musician Shye Ben Tzur in collaboration with Indian band Rajasthan Express who enthralled audiences with material from their critically acclaimed album, Junun. The event that was organised by the High Commission of India, and was launched in February by Indian Minister Arun Jaitley and Her Majesty the Queen in Buckingham Palace. After inauguration in February, the Independence Gala was the biggest event to mark the year of culture. The purpose of the evening was to showcase the best of both Indian and British cultures on the stage of the prestigious Royal Festival Hall. Speeches were also given by the UK-India Year of Culture event director Sanjoy K Roy, sponsor representative from Diageo and Mr Dev Sanyal from British Petroleum. Sanjoy K Roy, Managing Director of Teamwork Arts, said “Independence Gala, the highlight of the year-long UK-India Year of Culture 2017 programme, celebrated the relationship between India and United Kingdom based on the shared values of democracy, diversity and appreciation of the arts. 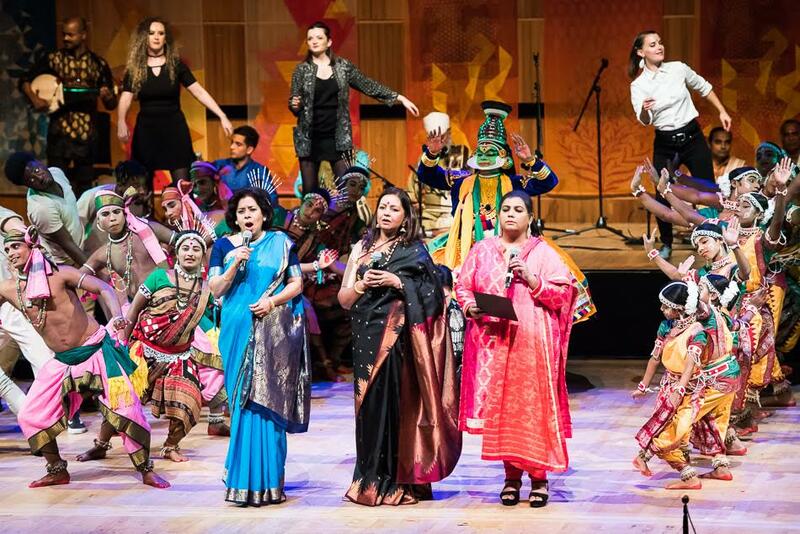 “India’s flavourful cultural matrix created by a formidable past legacy and a new contemporary identity was brought to life and enriched by the exciting new collaborations with various UK artists presented on stage at the Southbank Centre last night. 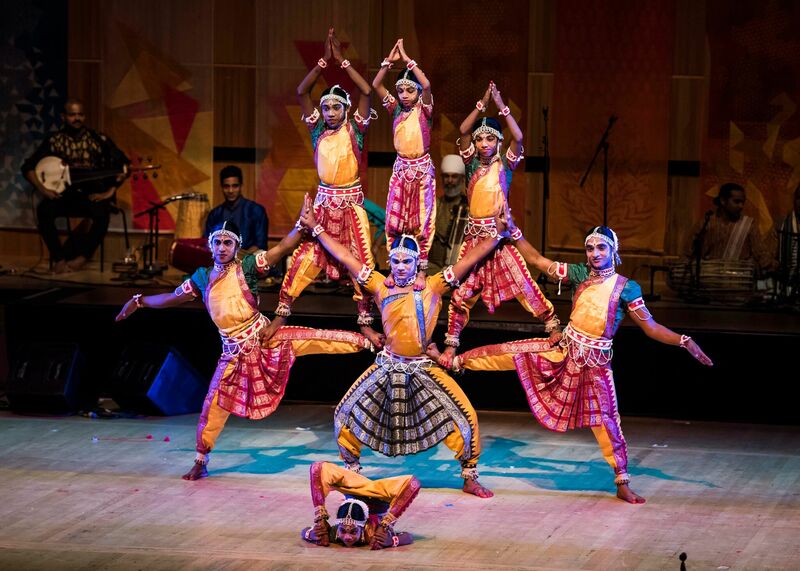 The first half of the gala featured a medley of dances and music representing different states of India, as well as the native cultural display. Performances included Kathak by Ankh, Kuchipudi by Arunima Kumar Dance Academy, Bharatnatyam by Natyasri Dance Company, Mohiniyattam and Kathakali by Lasya Academy of Mohiniyattam, Chau dance by Nichuapada Uttarsahi Chhau Nrutya Pratisthan, and Gotipua by Silpika Society of Culture. Music included vocal by Deepa Nair Rasiya and Sangeeta Datta, Sarod by Soumik Datta, and Sarangi by Ustad Surjeet Singh. Among the western performances, there was Opera by Patricia Rozario, the only Indian Opera singer, Hip hop/contemporary by Avant Garde Dance company, Tap dance by Old Kent Road, Latin and ballroom dancing by Step Change Studios that included a disabled performer on wheelchair with others. Choir was presented by London Contemporary Voices, Violin by Philip Granell and the phaedra ensemble, vocal by Rosabella Gregory, Bass guitar player Tadej Kampl. 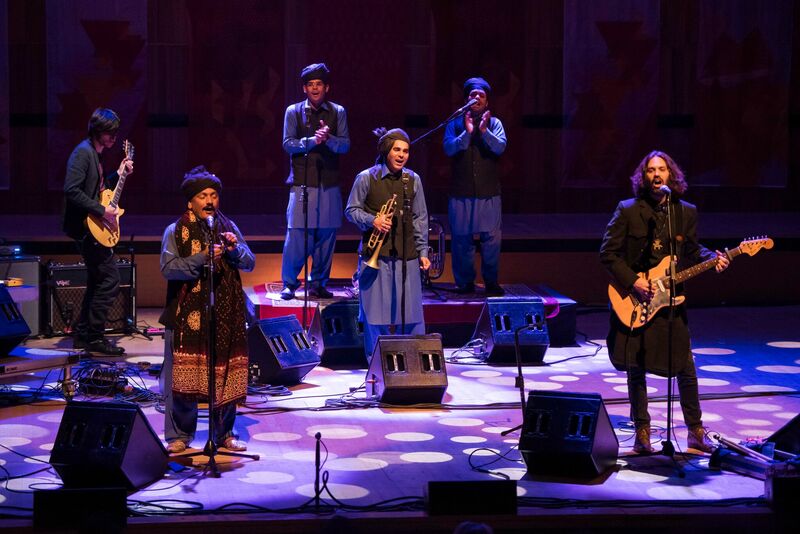 In the second half of the event, a composition of Sufi Qawwal songs were sung in Urdu and Hebrew, from the evocative album Junun, composed by Ben Tzur. This diverse spectacular gala embodying a collaboration of exquisite flavour of both cultures was directed by Sanjoy K Roy from Teamwork Arts with music composed by Sharat Chandra Srivastava and choreography advisor Gilles Chuyen.